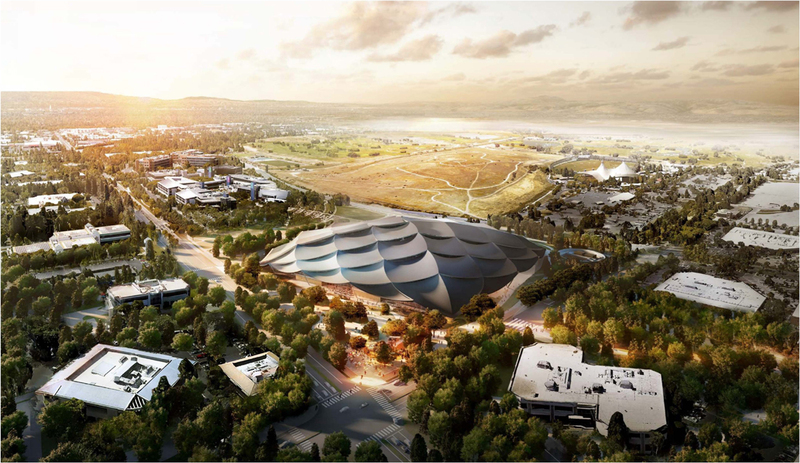 Google has received what will likely be the final wave of approvals needed to create a signature campus in the company’s hometown of Mountain View, California. Dubbed Charleston East, the facility will take shape at 2000 N. Shoreline Blvd. on an 18-acre plot of land. The campus will be unique in that it’ll be the first that Google has built itself; all of its other buildings were purchased from previous owners. The bottom floor of the 595,000-square-foot building will be open to the public and feature restaurants, cafes, shops, art installations and other attractions. An open plaza at the southeast corner of the facility that’ll be serviced by food trucks will be used for public events like live music and tech exhibits, Mountain View Voice reports. Google real estate director John Igoe said the project was the opportunity to make the location more open to the community. As such, they made an effort to make sure the site is welcoming to the public. The search giant first unveiled plans for its new campus in early 2015; planning for the project dates back nearly 10 years. On-site preparations have already begun for construction, the publication notes, with Google officials interested in moving forward quickly with grading and laying the foundation. Assuming cooperative weather conditions, the project could be complete before the calendar rolls over to 2020.